The Koi | OK Listen! 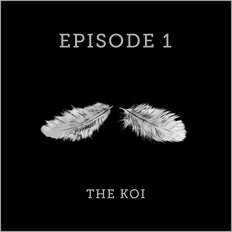 The Koi is an alternative/folk/experimental band from Manipur, India. The five members; Rishikesh Thangjam, Kamlesh Khundrakpam, Nongpok Arambam, Kumarjit Huirem and Sumit Lukram came together as ‘The Koi’ sometime in 2012. Rishikesh is the songwriter/singer of the group while the rest juggle guitars, keyboard, and percussion. Their proficiency in western classical guitar and an innate affinity to folk music of the region gives their music a character of freshness of sound and approach. A mixture of diverse and sometimes contradictory influences and inspirations, which is The Koi, is held together by an unmistakable sincerity. 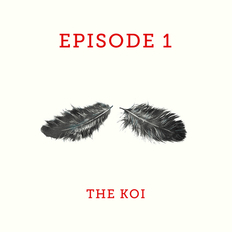 Koi, literally meaning ‘beard’ in Manipuri, is a signifier they have chosen to represent the essence of their music - instinctive, raw, and blithe. Childhood friends for long, the five eventually coalesced their musical pursuits and, during one of their many casual jam sessions in Shillong, ‘The Koi’ was brought about. Webcasted amateur recordings of their first few songs in English with just a laptop and a cheap mic garnered tremendous acclaim. Buoyed by the favourable response of a widening fan-base they broadened their repertoire to encompass the Manipuri language. They began composing Manipuri songs penned by the renowned late playwright Arambam Samarendra, who is also father to Nongpok. Their musical transcreation of the cherished text lends it a new incarnation and reaffirms the burgeoning of a musical tradition. They recently broke into the scene with ‘The Koi - the journey so far’ their debut concert held in Imphal. Their performance was commended as a very original blend of native and western musical influences by many among the audience comprising of an assorted demographic of music lovers of the region. Since then they have been honing their music and working on their maiden album besides taking new gig opportunities to reach out to more audience.